For my Tapas party I wanted a dish that represent Spain, an ingredient that is unique to Spain so I enter the Piquillo peppers! They are difficult to find because they are a popular ingredient that is use in American cuisine. Even though they are getting popular with chefs but it not quite available in a super market near you yet! It took me a while to find them but I am so glad I did because they are sweet and very tasty. They taste almost like a roasted red bell pepper but they are a lot smaller, pointy, triangular, and the perfect size to stuff Dungeness crabmeat. I cooked them in cream and butter sauce and the result is so yummy! 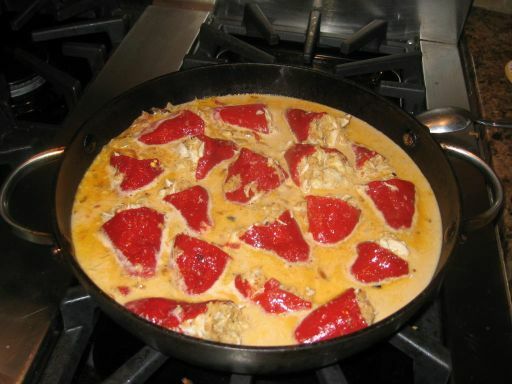 A close look at the Pequillo Peppers in a pan and ready to be served. The sauce is so good and perfect to mob with a good piece of bread. 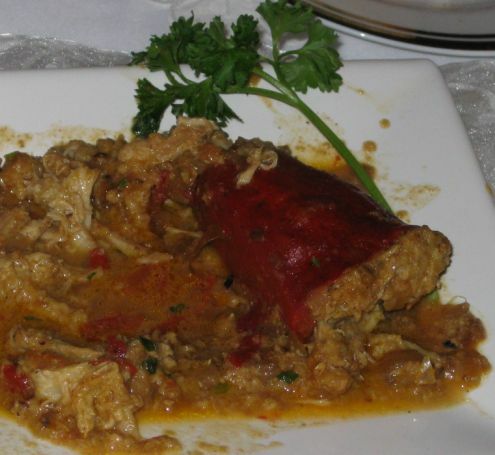 The crab was fresh and the Pequillo add a little sweetness to the dish. Unfortunately I have so much to do and cook for the party that I had barely any time to take pictures of the whole preparation of this dish. Here I am cooking a sofrito. 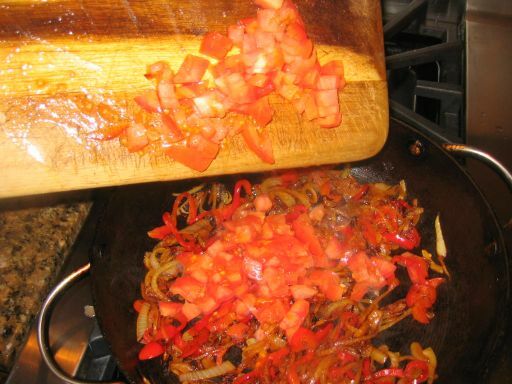 Basically a sofrito is a flavor base made with cooking down onion, red bell pepper, and garlic until very soft and fragrant. Next chopped tomatoes are added and cooked until the juices have evaporated (about 15 minutes or so) and then it is ready to be use. 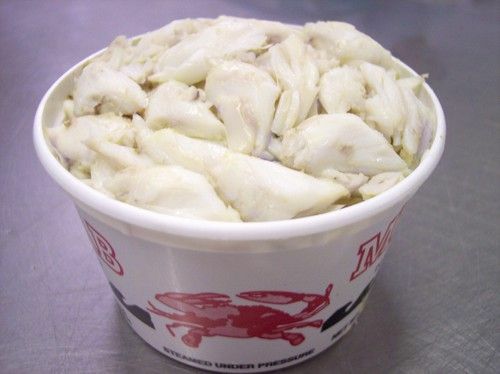 Lump Dungeness crab meat. They are so good and so tasty! I probably can eat it just plain like this. 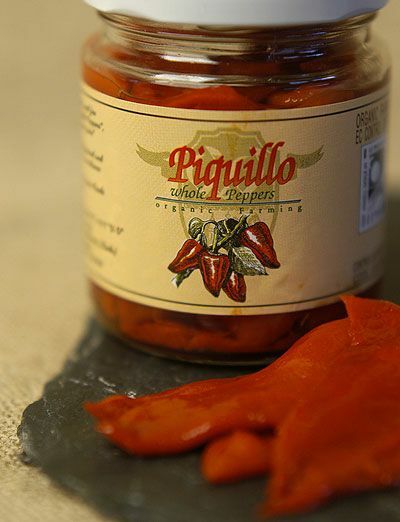 Here are the Piquillo Peppers in a jar. They came already roasted and ready to be use. 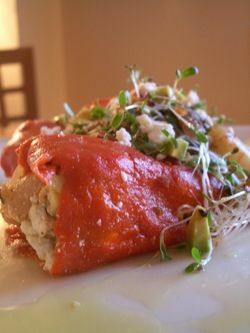 The crab meat is mixed with bread crumb, honey, Dijon mustard, Pimento, and eggs. 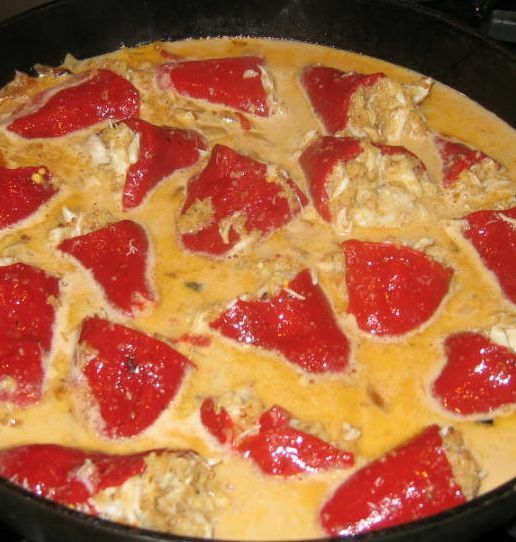 Once every thing is mixed together it is ready to be stuffed inside the Piquillo peppers. 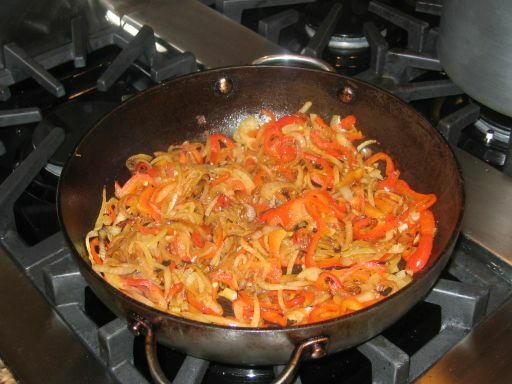 The butter is melted first and chopped onion is added and cooked until soft. Next the sofrito is added and stir together. Cream and fish stock is added. 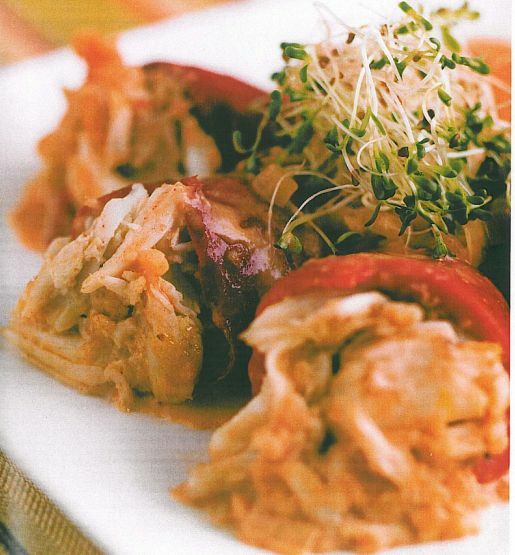 When the sauce is hot, the stuffed piquillo peppers are added and gently cooked for 5/10 minutes until the crab meat filling is firm and it is ready to be served.